India's CBI plans to send teams to US, Europe to trace hackers ! Against the backdrop of the attack on its website by "Pakistan Cyber Army", the CBI is considering to send its team to the US and Europe to trace hackers involved in the defacement. Sources said the agency officials have pin-pointed three Internet Protocol (IP) address -- a unique numerical label borne by each computer in a network that use worldwide web for communications -- two originated from Seattle, Pennsylvania in the US and other in Daugavpils, Latvia in northern Europe. They said the agency has moved a local court here seeking permission to access authorities in the US and Latvia for collecting information on the IP addresses. 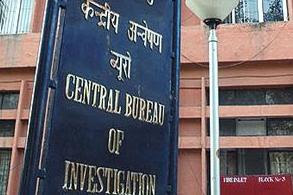 The CBI had on December 4 last year registered a case against unknown persons of "Pakistani Cyber Army" for hacking and defacement of its website under various Sections of Information Technology Act.